Do I need to have a specific background to be a successful Coach? Our student body here at International Coach Academy is very diverse. We have over 90 countries represented in our student body, so as you can imagine, there is a wide diversity of backgrounds and experiences. Some students have executive backgrounds, HR, or own their own business. We also have other types of students who may be coming to coaching after retirement; and some that have been stay-at home parents. We also have a number of younger people coming into coaching in their 20’s, maybe this is their very first profession, their first step into the professional world. So it really is diverse. If you do have a background that was in leadership or you were an executive, you can take that experience and build your coaching practice around it. Perhaps your background is teaching and you want to have a bit of a coaching component as well. Whatever your background is, it is going to be your unique calling card. Your uniqueness, who you are as an individual, is a culmination of more than just what you’ve been doing along your career path up until coaching. It’s also who you are as an individual. When coaches are looking to defining themselves in their niche or their coaching specialty, I have them look at three different areas. What experience do you have? Look at your career path, even if you are looking at making a break from what you have been doing. Maybe you no longer want to be in HR. Look at what you’ve learned and accumulated as an experience. What are you interested in. Often in life, we tend to pass over who we are as an individual to get the job done. You know, what does your boss want from you, or what is required of this position. In coaching, the number one requirement is to be yourself. Be uniquely you. Look at your interests, your passions, your hobbies, make it part of your coaching. Creativity is a big part of coaching. 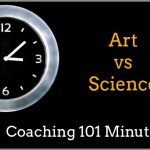 So, if you’re really a creative individual and like to tell stories and like to create artwork, incorporate that into your coaching, that can be part of the tools and maybe even the full model of your coaching, as a whole. Test out different kinds of clients. A good example…… someone is thinking of going into more of a spiritual coaching practice and never thought that a business client or a business coaching client would be within your capabilities. Test it out, you’ll be very surprised in what you find about yourself and all the possibilities for you to use your experience, your interests and the different types of clients that are available to you. 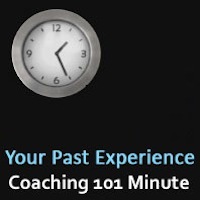 If you want to learn more about these questions or about how your own past experience or interests can help you in your own coaching development, come along to one of our next coaching 101 classes. Go to the calendar and find a time option that works best for you.